With the horrendous culture of sexual harassment fostered by Panthers’ owner Jerry Richardson being exposed, the team announced that it would be pulling a Donald Sterling and put itself up for sale by Richardson. The franchise, valued at $2.3 billion by Forbes, would mean that the Richardson family and team investors would make some serious money as they purchased the team in 1993 for $206 million. This actions means that Cam Newton and the Panthers would have new owners in 2018, some of whom could be, for the first time, Black. That’s right, Black NFL team ownership could be a reality as two big time voices have already expressed their interest in purchasing the team as Diddy and North Carolina native, Steph Curry, want in. Diddy has been talking about taking over the NFL, so why not start in Charlotte? 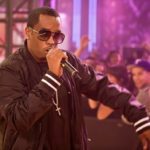 “Let’s make history” followed up Diddy on Twitter. 2018 will be very interesting in the NFL indeed.